A famous decree by the Académie des Beaux-Arts on 2 November 1816 officially enthroned lithography as a medium of overwhelming importance for the state, art and business in France. By the Salon of 1824, lithography was presented as its own genre. Not quite 30 years later, in his Parisian studio in the boulevard des Capucins, Félix Nadar celebrated the first great achievements in portrait photography. 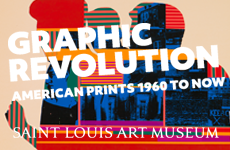 Within just a few decades, the quintessentially modern media of lithography and photography had invaded the universe of traditional print production, demanding new understandings of representation, reproduction and the role of art. But even as Nadar was making his famous photographs of Charles Baudelaire, Charles Blanc, editor of the Gazette des Beaux-Arts, was penning a brilliant article on France’s principal—and increasingly conservative—form of print: engraving. The focus of Blanc’s essay was a recently published magnum opus, long awaited by Parisian connoisseurs: Luigi Calamatta (once encouraged by Ingres) had finally completed his monumental copperplate engraving of the Mona Lisa after more than 30 years of work. Calamatta’s print was hailed as a milestone of modern engraving—his heroic performance seemed to prove that engraving could stand up against the breathtaking success of the more rapidly produced lithography. For later critics such as Henri Focillon, however, the frozen virtuosity of the print was just one more nail in the coffin of a stiff and linear art form suffocated in classical dogmas, which had turned its back on the revolutionary media upheavals of its time. 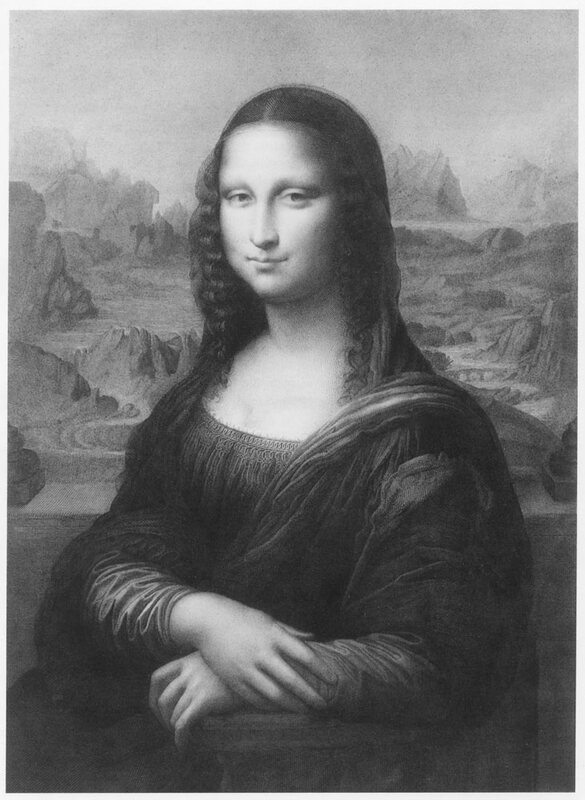 Blanc, who had been a student of Calamatta, took the Mona Lisa as an opportunity to evaluate the state of French engraving. In a wonderful passage, he passes under review all the great French masters of engraving—Robert Nanteuil to Gérard Audran, Pierre Drevet to Charles Bervic—and notes that not one had dared take a stab at this fabled portrait. Decades after lithography had established its dominance in virtually every area of printed image production, Blanc came to the conclusion that only 19th-century copper engraving was mentally and technically mature enough to reproduce the enigmatic aura of Leonardo’s icon. Luigi Calamatta, after Leonardo, Mona Lisa (1857), engraving, 37.5 x 27.5 cm. Paris, Bibliothèque Nationale de France, Département des Estampes et Photographies. Blanc and the Gazette, Nadar and Calamatta represent just a portion of the wild turbulence and experimental exploration that surrounded both conservative and modern visual media in the 19th century. This is the fascinating history that occupies Stephen Bann in his new book, Distinguished Images. Like Bann’s important 2001 volume, Parallel Lines: Printmakers, Painters and Photographers in Nineteenth-Century France, the current book uses reproductive media as a lens through which to view the interaction of visual culture and social and intellectual history. 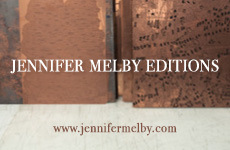 The title underscores the book’s essential concern with what happened to media such as classical engraving once artistic quality was no longer predicated on the complexity of technical production or substantial economic investment. It highlights the moment when the particular aesthetics of the print—partly in response to photography—began to break down the boundaries of its own classical canon. In his examination of this period, the most profound upheaval in visual media since Gutenberg, Bann concentrates explicitly on France. (One searches in vain for mention of the great Munich lithographer Johann Nepomuk Strixner or the brilliant etcher Adolph Menzel. There is just a single glancing reference to the masterpiece that was, for German engravers, the equivalent of the Mona Lisa for the French: Raphael’s Sistine Madonna in the Dresden Gallery.) Bann uses the example of France to study what was an eminently Europe-wide phenomenon. 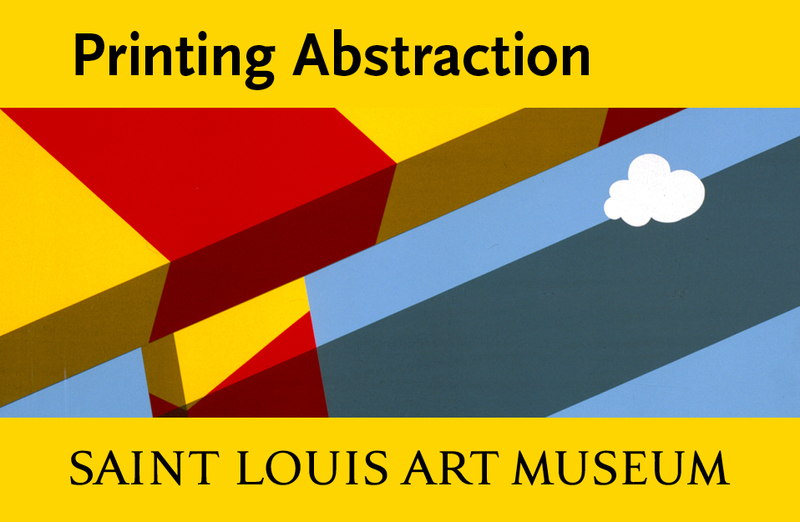 The reasons for this choice are valid and clearly laid out: nowhere else was the interplay between painting and printmaking as traditionally close. 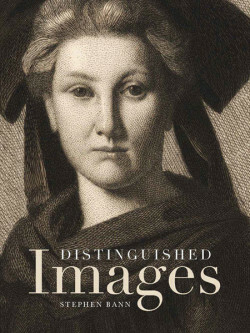 Only in Paris was there such symbiotic communication between the masters of graphic techniques and the most influential painters—Ingres, Anne-Louis Girodet, Paul Delaroche and others. France had, since the epoch of Diderot, also boasted the most educated public in this regard. Above all, it was in France that critical early steps toward practical photography were taken by Joseph Nicéphore Niépce (in Saint-Loup de Varennes) and Louis Daguerre (in Paris)—both in touch with copper-plate engravers. 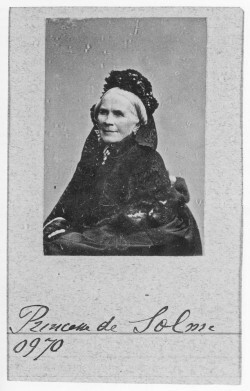 Nadar (Gaspard-Félix Tournachon), Princesse de Solme [sic] Soeur du Roi de Hanovre, numbered 0970 (ca. 1867), photograph (glass plate negative). Paris, Bibliothèque Nationale de France, Département des Estampes et Photographies. Bann is careful not to construct a simple historical model of precipitous winners (first lithography, then the photograph) and sudden losers (engraving and etching). For example, he meticulously reconstructs Nadar’s strong lifelong commitment to lithography, focusing on the less well-known part of his autobiography that relates, not to his fame as a photographer, but to his student days (Quand j’étais étudiant). Bann’s text analysis shows how vividly the image memory of the old Nadar had been shaped by lithography. The July Revolution of 1830, to take one instance, had been burned into his memory through the lithographs of the political illustrated press of those days. Lithography continued to be a determining factor in the late 19th century. In 1889 Blanc celebrated it as the French visual medium par excellence. Similarly, engraving and etching enjoyed continued relevance and public interest throughout the 19th century: in 1856 and again in 1868 the venerable Prix de Rome (as old as the Académie itself) was awarded to artists working in the domain of prints—Ferdinand Gaillard and Charles Waltner, respectively. Just before the turn of the century, in 1898, Léopold Flameng, famous for his etching after Ingres’ La Source, was appointed to the Académie as the new professor of engraving and etching. By then the aesthetic alliance between lithography, engraving and photography had become so close that the collector and critic Henri Beraldi reproached Gaillard—a Grandseigneur of Parisian engraving—for having obliterated the most sacred principle of engraving: the play of lines that Beraldi held essential for assessing the quality of engraving were in Gaillard’s prints no longer visible to the naked eye. 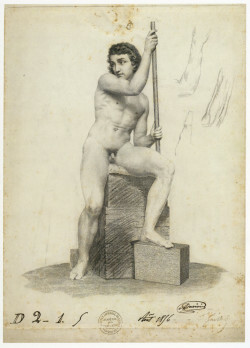 Ferdinand Gaillard, Male Model (1856), engraving with pencil studies (print submitted at Ecole des Beaux-Arts for Grand Prix de Rome in engraving), 40.6 x 30.2 cm. London, British Museum, Department of Prints and Drawings. Through precise analysis of complex material, Bann convincingly demonstrates that the pace of change in aesthetics was much slower than suggested by Walter Benjamin. 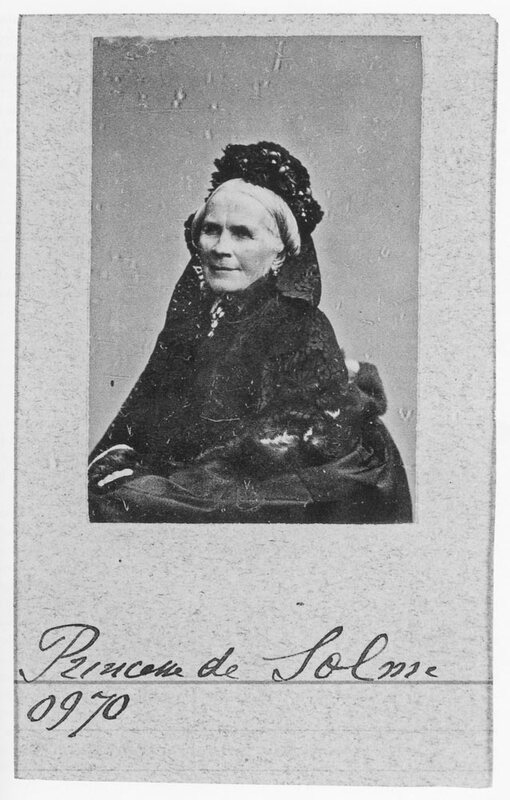 Bann illustrates in detail how Benjamin’s pronounced views on 19th-century reproductive media overestimated the speed with which photography gained hegemony (according to Benjamin, within a few decades) and missed the broader historical picture, which showed that traditional print processes fully maintained their status throughout the 19th century. In a key chapter, Bann moves from the public presence of printed images in the context of official Paris Salons to their much wider presence in the major Parisian illustrated magazines. He is not concerned here with the all-too-familiar role of lithography in satirical journals such as Charivari. Instead his focus is on large, nonpolitical journals appealing to the wealthier bourgeoisie, such as the Magasin pittoresque and the Magasin universel. These were joined slightly later by the Gazette des Beaux-Arts, which cultivated a smaller audience and featured high-caliber art-historical connoisseurship. From 1833 onward, these magazines, which sometimes boasted quite large circulation, rapidly became the most important transmitters of lithography, wood engraving and etching. One magisterial issue of the Magasin pittoresque, for instance, examined the political and aesthetic transformation of medieval France through its monasteries and cathedrals. This interest in recollection and restoration of the past was for decades the largest domain and undisputed field of experimentation for lithography and wood engraving, supporting a vast proliferation of prints. Only in 1860 did this lucrative market become saturated, giving way to the more archaeological interest and scientific documentation of medieval national monuments in terms of Viollet-le-Duc. The French government recognized early on the possibilities of photography in this context and in 1858 established the Missions Héliographiques to record historical structures in need of restoration. The survey was soon joined by Gustave le Gray and Henri Le Secq, the great pioneers of early panoramic photography who had trained as painters in the studio of Delaroche. Bann sketches a fascinating crescendo: the heroic romance with medieval cathedrals that begins almost silently around 1820 with inconspicuous vignettes of secluded Norman abbeys (including one by Géricault) and eventually bids a grand farewell with Monet’s monumental visions of Rouen Cathedral—magnificent, modern and sublime. 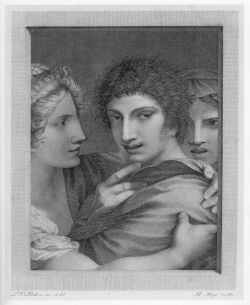 Barthélemy Roger, after Pierre-Paul Prud’hon, L’Amour séduit l’Innocence (Innocence Seduced by Love) (Salon of 1812), engraving, 25 x 20 cm. Washington, DC, National Gallery of Art Library, Department of Image Collections. Bann’s study is exemplary in its adherence to fundamentals. He moves deftly among different types of public audiences who debated and discussed these issues over the course of nearly a century. A few side notes may be added to Bann’s consistently profitable, freshly written study. Some of the aesthetic conflicts he touches on—especially that of engraving as it headed toward the existential crisis from which it has never really recovered—expose the fundamental difficulties that engraving faced in its attempt to convey nonlinear content. There was a forced attempt to break free of the frozen classical tradition of Jean Georges Wille and Charles Clément Bervic and to implement chromatic values graphically—experiments Bann problematizes through the early example of Barthelemy Roger’s interpretations of the paintings of Pierre-Paul Prud’hon. The sfumato of works such as his L’Amour séduit l’Innocence was a challenge for French line engraving, still under the neoclassical spell of Jacques Louis David. To cope with this painterly effect, Roger tried to adapt elements of stipple work to the aesthetics of classical line engraving. These engravings are masterful, but inevitably convey an aesthetic tension and a lack of homogeneity. Here we encounter the essential clash of a linearly bound medium faced with the task of interpreting color. It enjoyed its last dramatic breakout in the century that gave us lithography and photography, but its roots extended back to the early 16th century: the Italian engraving of Giulio Campagnola and others was prominently updated by Rubens and his engravers, then newly addressed by mezzotints. In this respect, the author might have gone even deeper, acknowledging concretely how these ambivalent transformations continued to reverberate in visual art down to the present. This, however, is a relatively minor quibble with a book that offers a corrective to the simplistic narrative about what happened in art, representation and reproduction during the 19th century. Bann has provided a splendid analysis, rich in material, of the aesthetic upheavals in a critical period in the graphic arts.